Fred Perrotta is an entrepreneur and traveler, and the co-founder of Tortuga Backpacks, a travel luggage company that makes gear for the urban traveler, specializing in sleek carry-on-sized backpacks. Fred believes that people should travel and live life “On Your Terms” and sees a future where people have more control over where they live and work. In this episode, Fred discusses the history of Tortuga along side travel & remote work, before we break into a “Tipsy Talk” segment fueled by stories of Vietnamese craft beer, Thai whiskey, and bad Australian wine. 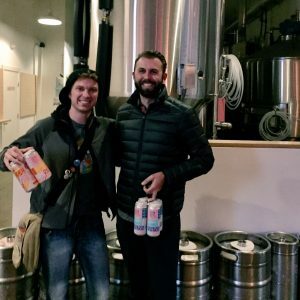 Temescal Brewing in Oakland, CA is the setting for this episode, where we drink our way through a variety of West Coast pale ales and IPAs during the conversation. 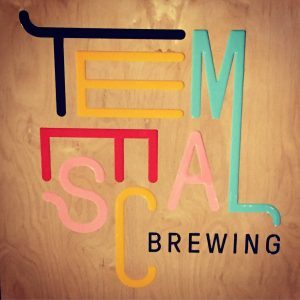 Temescal Brewing is a relative newcomer to the Bay Area craft beer scene, propelling forward in 2016 with an awesome Kickstarter campaign and video. 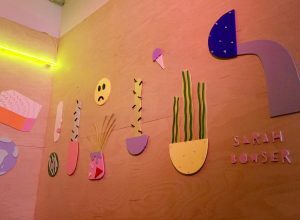 Their bright, colorful interior and spacious beer garden are bringing great brews and “sunny vibes” to the people of Oakland and beyond. It’s also home of the largest Jenga in the Bay Area (at least that’s what we’re saying anyway…). Oh, and free popcorn too! Oakland’s Temescal neighborhood is an up-and-coming neighborhood on the north side of the city, and often considered Oakland’s prime arts district. Starting up a product company is much different than Tim Ferriss’ Four Hour Work Week would suggest. Tortuga’s tagline is “On Your Term,” largely referring to location-independence in life and work. We grabbed popcorn and ate on the show for the first time ever. You won’t even notice! Fred did a work rotation in Sydney…which is also the setting for his wine-infused drinking story. This is roughly the same point where a really loud group sat down right next to us. Because their bags are built to the maximum carry-on size, Tortuga Backpacks don’t need to be checked (unless of course they’re filled with beer), but if you feel like getting crazy with your packing, they have kindly published this blog post on outlandish packing scenarios to show just how much food, books, and PBR you can fit in a 44L bag. We [regrettably…mostly me] spent 3 minutes talking about beer pong. Tortuga is currently launching a digital nomad collection of accessories to compliment the luggage in 2017. Bonus Beer: Esta Noche – We just had a taster of this during the break, but it was good enough to make the cut in our show notes! This is a stout conditioned with cocoa nibs and vanilla beans, NOT to be consumed in 16 oz. servings. 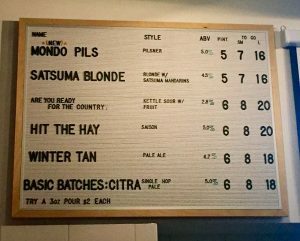 Winter Tan Pale Ale – Our bartender described this pale ale described as “a little dry and a little fruity”…if you actually know what you’re talking about when it comes to beer, it contains Mandarina Bavaria and Tettnang hops. Cholita Linda – Serving Latin American comfort food to the people of Oakland, Fred highlighted their fish tacos and agua frescas. Pizzaiolo – Forget North Beach! Oakland has great Italian food too! This sit-down Italian joint is known for their wood-fired pizzas. When you venture outside of Oakland, hit up Uptown and a show at the famous Fox Theater. You can find Tortuga Backpacks and all of their products at TortugaBackpacks.com, and you can connect with Fred on Twitter at @FredPerrotta, as well as his personal website fredperrotta.com. 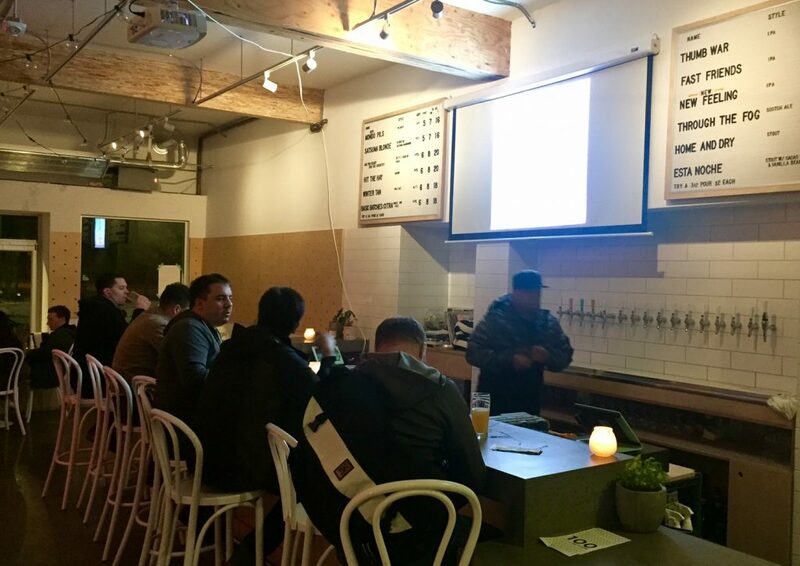 Temescal Brewing is located at 4115 Telegraph Ave, Oakland, CA 94609. Taproom & beer garden hours are Tuesday through Thursday 4-10pm, Friday 4pm-12am, Saturday 12pm-12am, and Sunday 12-10pm. Closed Monday.